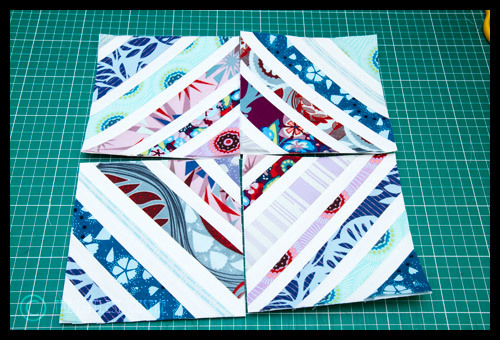 I've had to take a leap into the paper piecing without trying your wonderful instructions because this months bee block called for it, now I have my laptop back I will be sure to catch up on them all! Perfect! I've been wanting to make a string quilt but I haven't even started looking into how to make that possible! Oh week 3 looks really fab! I've wanted to do string blocks for aaaaaages. Have to say I love love love strings! Can I cheat and post something I have already done?? a string quilt is on my list of 'try someday' that day might be next week 🙂 lovely blocks too! Looks good, looking forward to having a go! Oh goody, I've wanted to make string blocks for ages too. Looking forward to these. I'm reminded of a song by the Goodies that goes "String, String , String, String , Everybody loves String!!!". When am I going to be able to find the time to join in? Still have my small item for the swap to make and the in-laws are arriving tomorrow and my mum next Wednesday. Great series Katy…and will be joining in when I can find the time! String quilts are quickly becoming some of my favorites. Your series is a good bookmark for future reference. Thanks! FPPFTT, QAL, SHQ QAL… Half the time I don't have a clue what you're talking about 😉 but I like what you make. It's about time I make a qulit. I still have sherbets pips charm pack. oh i can't wait for this one! !